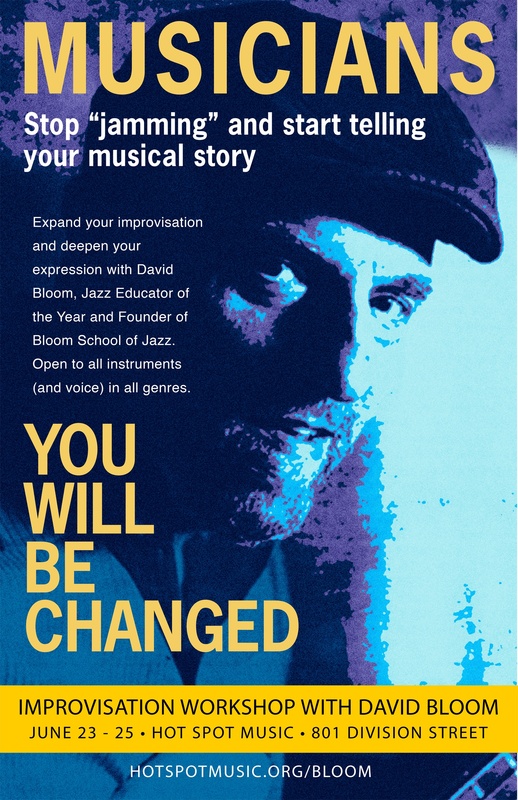 Join us for Weekend Workshop with David Bloom: Improvisation for all instrumentalists and vocalists in all genres, on June 23-35, 2017. This is David Bloom's second workshop in the Twin Cities as he expands his teaching nationally. "I can hardly believe how far I progressed in such a short period." -J.O. "I learned a ton about teaching: it's art, science, and a little bit of soul." -N.N. Students, band directors, music teachers, instrumentalists and vocalists, as well as professional musicians will experience dramatic results in their musical artistry. Thank you to Hot Spot Music in Northfield, Mn. 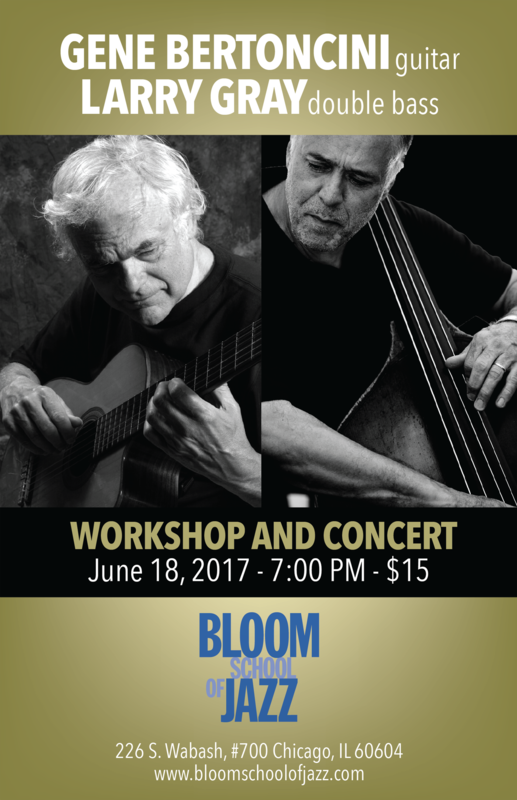 Students and musicians are invited to the Workshop and Concert featuring Gene Bertoncini and Larry Gray, held June 18, 2017 at 7:00pm at Bloom School of Jazz, 226 S. Wabash. Admission $15. RSVP by emailing dbloomjazz@gmail.com, or call 773-860-8300.